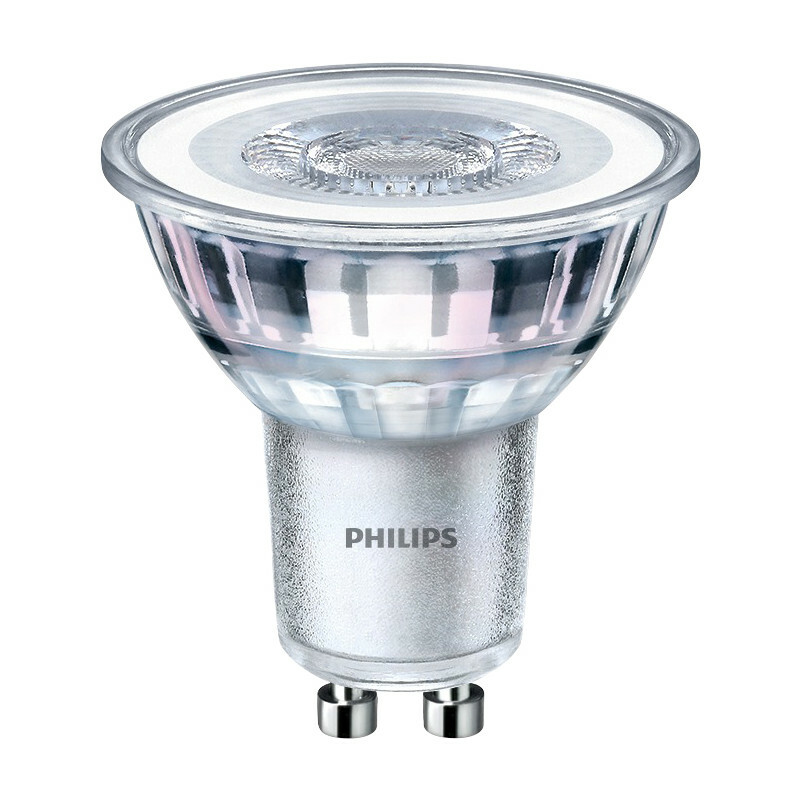 Philips LED GU10 Glass Lamp 3.5W Cool White 275lm is rated 4.4 out of 5 by 12. Rated 5 out of 5 by wol5ars1 from Found some at last! Really struggled to find ANYWHERE that supplied these seemingly becoming obsolete little spotlight bulbs! They are for a property that we rent out, and I find the bulbs so hard to get out of the fittings and just as hard to replace with new bulbs!!! I think new fittings may be appropriate shortly. Rated 5 out of 5 by bristoljb from White and clear I bought this a month ago and so pleased with my choice. Cool white in a bathroom needs to be done, it just makes the bathroom look crisp and white and clinically clean! LEDs make sure that the bulb lasts forever and uses less electric than traditional bulbs. Rated 5 out of 5 by peter09 from Great Product I changed from halogen GU10 to these LED lamps, far less electicity consumption and a better light. Rated 5 out of 5 by CrisB from LED bulbs Bought these bulbs to upgrade my kitchen lighting. Fabulous cool colour and very pleased with the price.